We all know the power of social media, Twitter, building a following, pushing out content blah blah blah. Today is not one of those days where I talk about that. 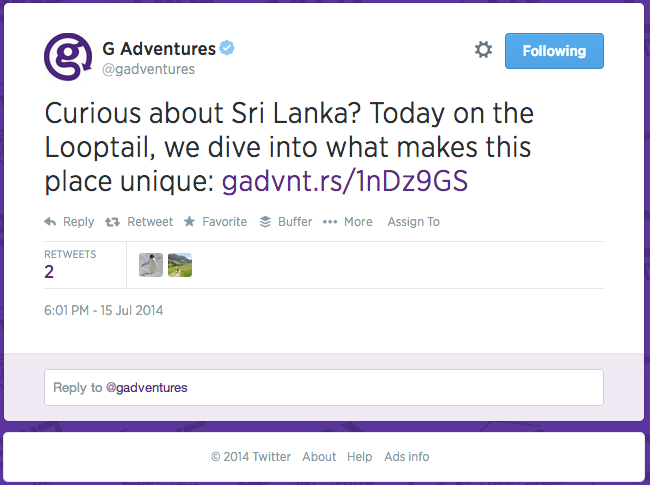 Instead, I’m very excited to tell you guys about a new feature that Twitter launched: Twitter Cards. I had a whole bunch of other topics I wanted to get to but this honestly just couldn’t wait. At the very bottom, I saw something that said “Twitter Card Type” and what I discovered next was really exciting. 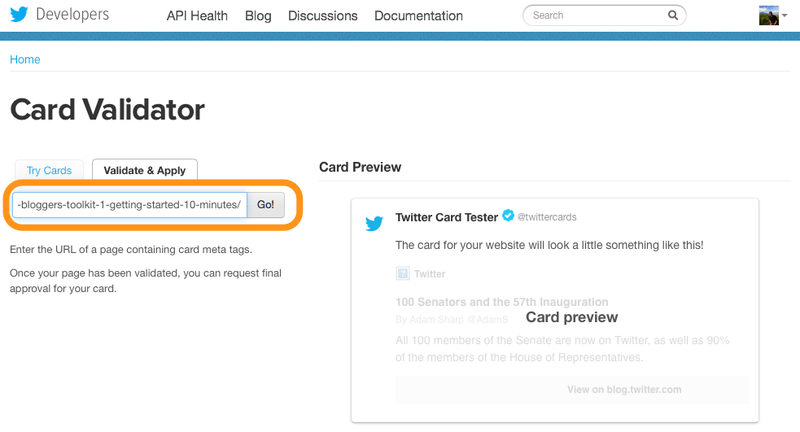 What are Twitter Cards and why should you care? This is how things used to be. You create a tweet with a link and nothing happens. Plain old boring text. In the social media game, it’s all about standing out right? 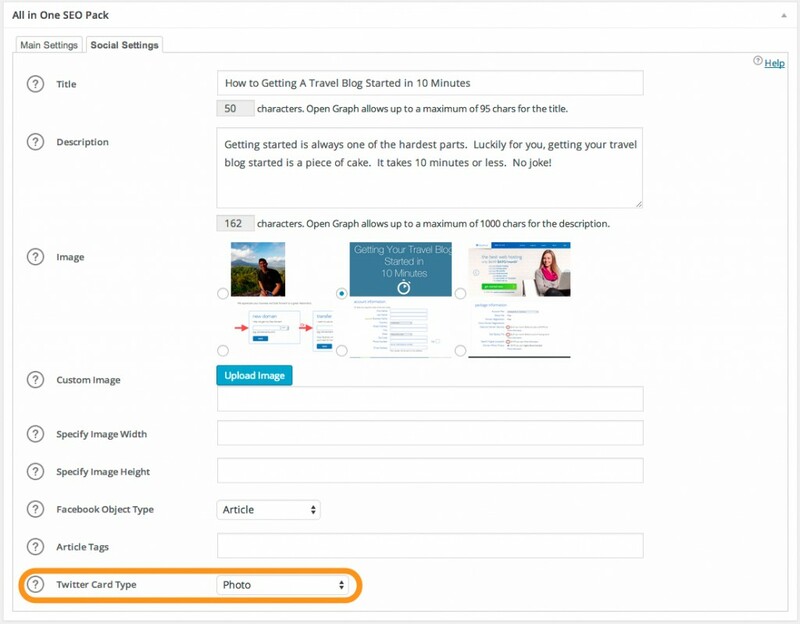 For a long time, you’ve been able to share links on platforms like Facebook and Google+ and you know how it’d automatically pick up your title, description and photo and create a nice prominent display? Well Twitter has it now too and it’s called Twitter Cards. Summary card basically pulls your SEO title, description and places the information on the left while placing a small thumbnail of your photo to the right. Clicking on any part of the summary card will take you to the link itself. This is personally my favorite, a full width image is used on top with a summary (title and description) below. Clicking on any part of the summary card will take you to the link itself. This is great for anyone wanting to showcase a particular photo. At first glance it looks very similar to the Summary Card with Large Image but if you click on the image here, it’ll expand the image in the same Twitter window as opposed to taking you to the link itself. Also note that no description shows up here in the summary. 140 characters really isn’t a lot to work with and you certainly have to get creative with the copy and messaging you use. However a lot of times, there’s just so much you can convey. 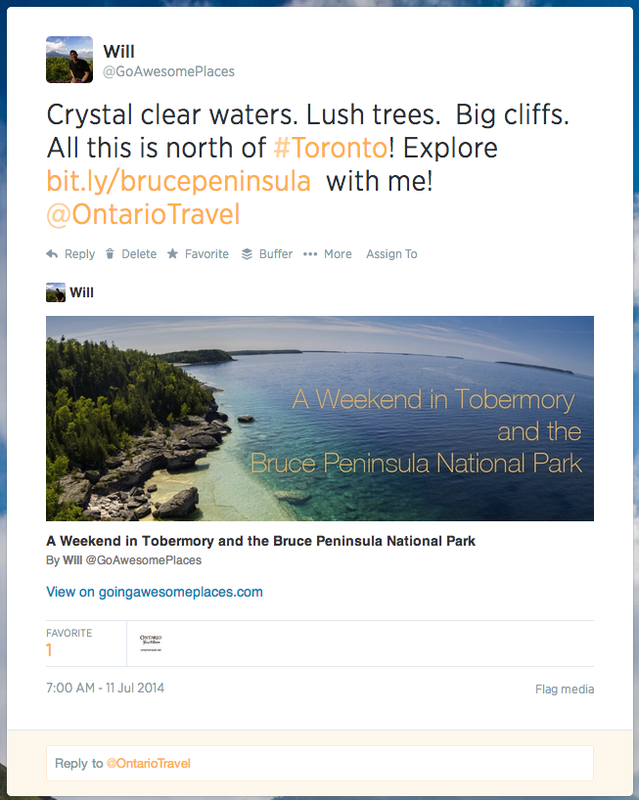 With Twitter Cards, you can pack that much more information into a tweet when someone checks it out. Images are powerful and this takes full advantage of it. Leverage (hopefully) what you’re already doing with your SEO plugin for Facebook and Google+ and now apply it to Twitter as well. Wish this was the magic bullet for all your Twitter hopes and dreams but for me what was disappointing about this was the fact that the image doesn’t come through on your profile page. 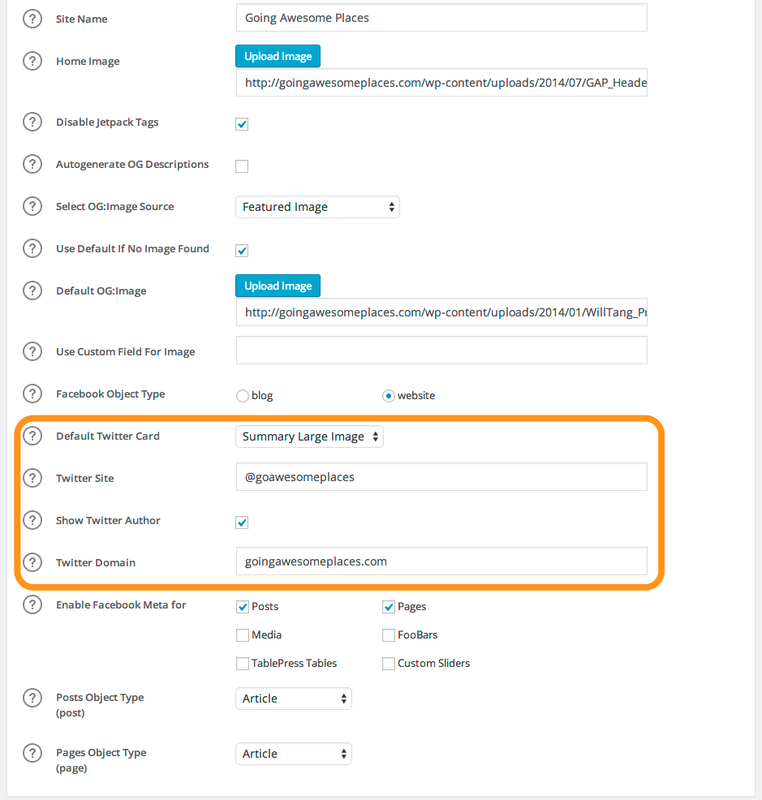 So the work around that most of us have been doing with having to upload an image to each tweet is still going to have to happen if you want to make sure your profile is stacked with photos (see how @ThePlanetD does it). So what excited me about Twitter Cards is that it looks like not many people know about it. 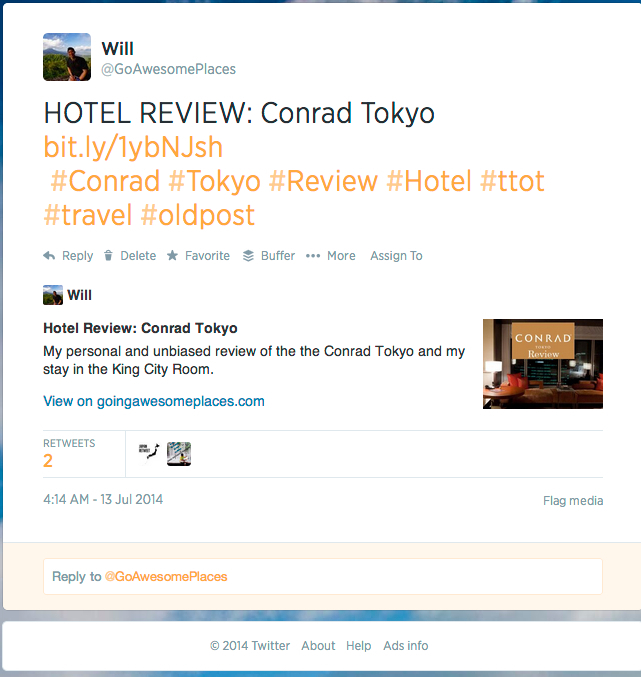 I’ve scanned quite a few Twitter accounts from prominent travel bloggers and very few are using it. The other thing is that Twitter didn’t exactly make this easy for people to start using but luckily you have this guide to help you along. I would have kept this one secret but I wanted to let all my readers know about this so that you can also gain the upper hand for your travel blog. I think the reason why most people don’t know about it is that it’s just not very well advertised and you kind of need to know where to go to set up on the Twitter Dev page. This will make your life easier so you don’t have to deal with all the background coding that needs to happen. Like I mentioned earlier, I use All In One SEO and I’ll show you few screenshots of what you need to do to get yourself set up from a social media perspective. 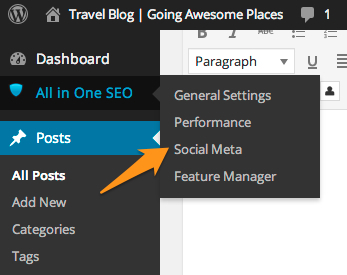 With All In One SEO installed, go to the Social Meta section to set your defaults. 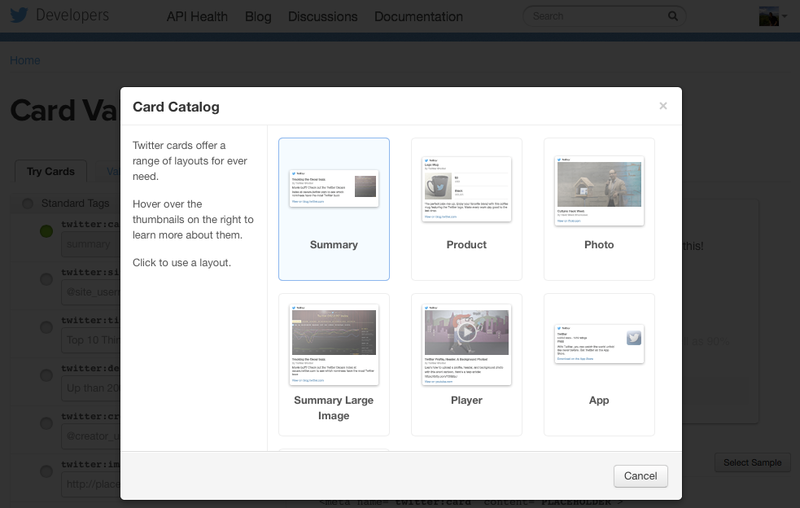 Set your default card to Summary with Large Image (recommended) so that all new posts you create will be set to this. Twitter Site = your @ handle. Check off “Show Twitter Author”. 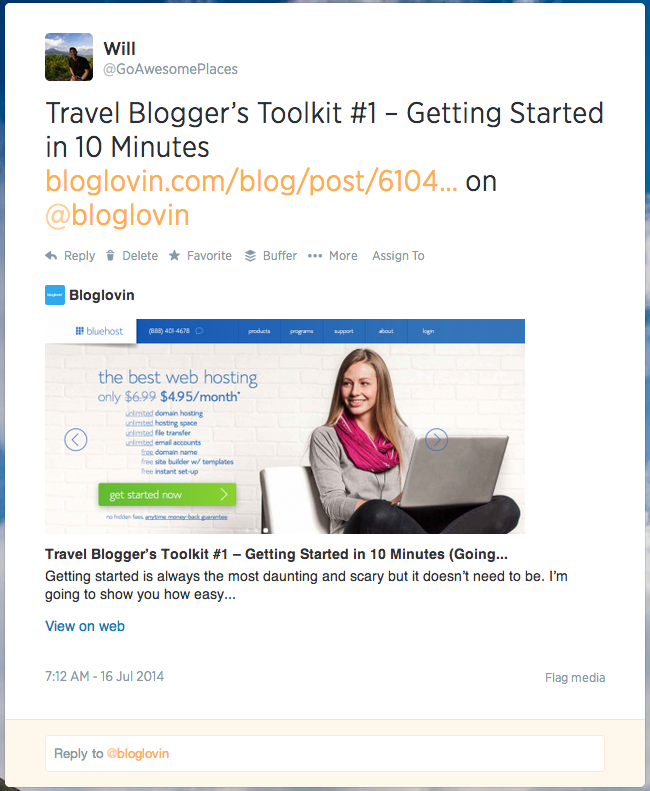 Twitter domain = your blog home page. In your actual post, scroll down to the All In One SEO section and click on the Social Settings tab. Make sure you have a title and description set. Pick an image that will show up on FB/Twitter/G+ when shared and at the bottom, make sure the correct Twitter Card type is selected. Now for 3 separate old posts, make one Summary, one Summary Large Image and one Photo. Publish all. With Yoast, things are a little easier. 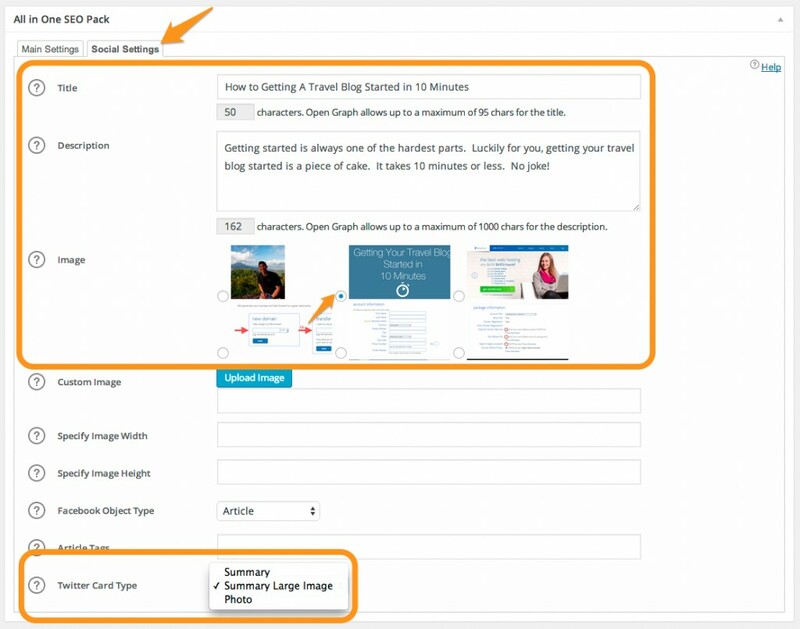 First you have to go to your Admin console and go to SEO plugin settings and the Social tab. Once there, go to the Twitter tab. In this settings page, all you have to do is put in your Twitter handle and choose a default card type to use. I would recommend “Summary with Large Image”. The disadvantage of using Yoast though is that it doesn’t allow you control of what Twitter Card type to use in each blog post as you can with All In One SEO. 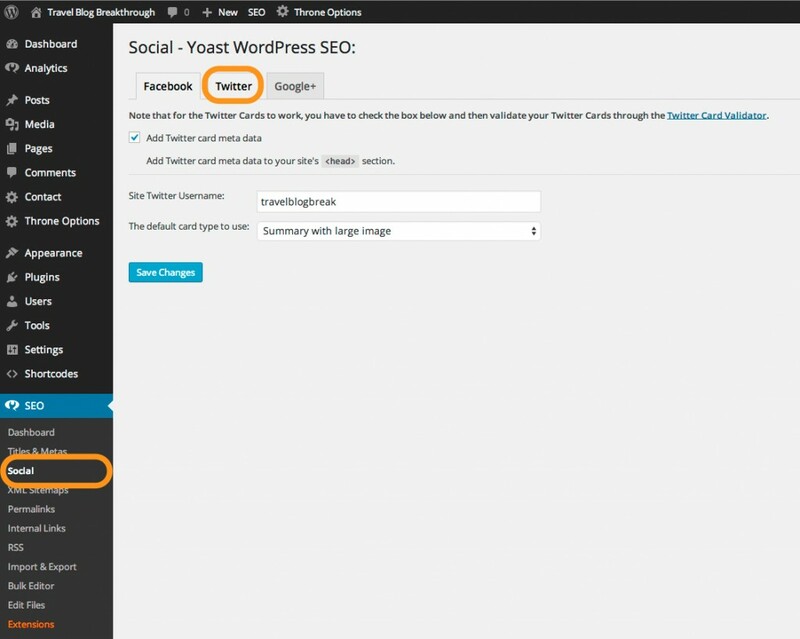 Once that’s done, all you have to do is go to any of your blog posts, scroll down to “WordPress SEO by Yoast” and make sure you have the Twitter details filled out as I have below in the “Social tab. Next head over the Twitter Card validator site and sign in with your Twitter account credentials. This window will pop up. You can click on any of them to take you to the screen behind. Next you’ll want to enter one of the old posts you adjusted. After you click on Go, it will validate the link to make sure you have all the proper settings. Everything should be green except for the fact that you haven’t been approved. Click on the Request Approval button. 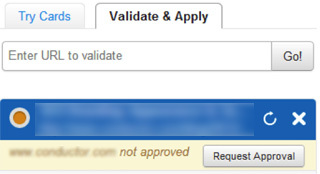 After clicking on Request Approval button, it’ll ask you for some of your basic details. Fill it out and you’re good to go! It should take you no longer than an hour to get approval. Repeat Step #2 for the two other Twitter Card types. You need to get each Twitter Card type approved. Bravo! Give yourself a pat on the back because you’re all set with Twitter Cards. The beautiful thing is that all of your old tweets with links will be retroactively switched on to have Twitter Cards. New ones of course will have them too. Does it work with link shorteners like bit.ly? Yes. If you check out @GoAwesomePlaces, you’ll notice that I more or less exclusively use bit.ly and all of them work. If you have any more questions, leave a comment below! 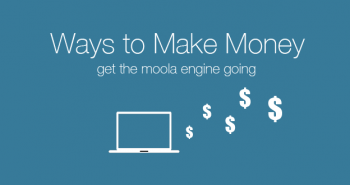 I use the Yoast SEO tool and you can do this within it as well. Go to the SOCIAL tab within the SEO settings and set things up the same as you noted above. The one thing I didn’t realize was the need to be approved by Twitter – thanks for the tip. Awaiting approval now. You’re the man! I just set this up for my blog. Since things have changed in the past couple of years with WordPress, how would you recommend going about adding the Twitter Card into my blog? 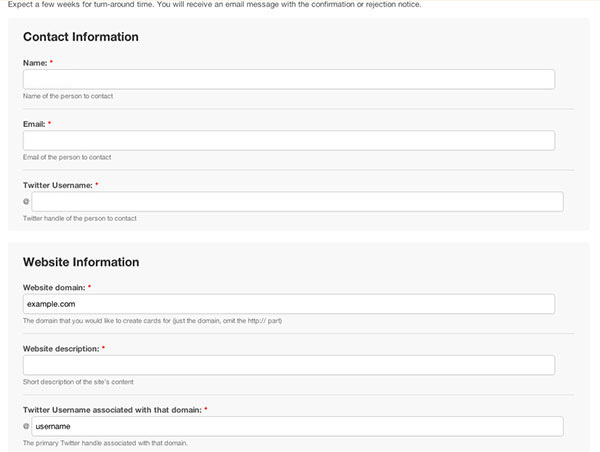 I’ve got the basic wordpress stuff for now – I’m not quite ready to pay for a domain and self-hosting. Either I’m not looking in the right place or something, because I’m definitely not finding anything on Social Meta or anything like the screenshots for Yoast SEO. I am in pre-launch mode and I am trying to do as much as possible to get on the right track with social media things. 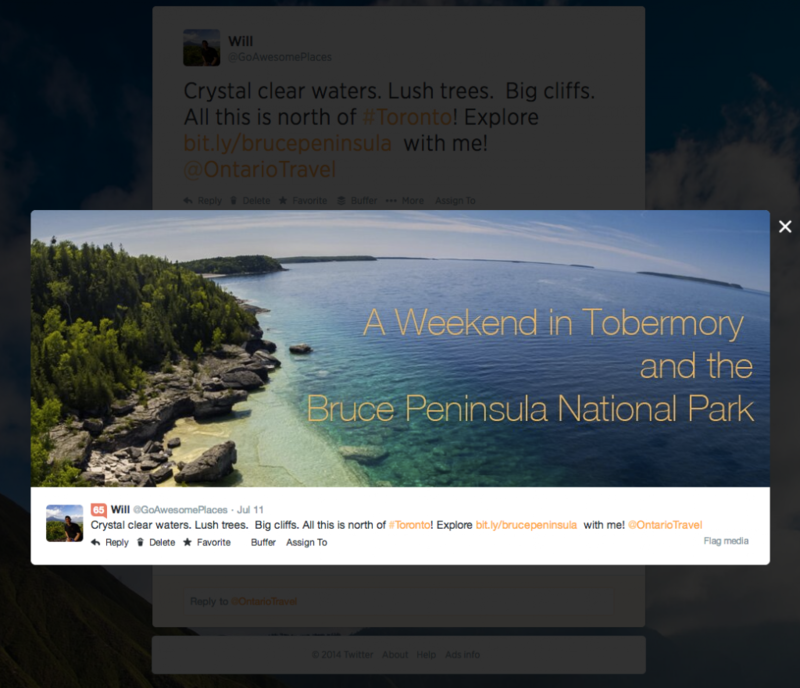 Also – if you use Buffer, will Twitter Cards work with it? Or will that still be a manual thing? Hey Amber, in a 2017 world, I would say the easiest way to add Twitter Cards is really through any SEO plugin via WordPress. Right now I’m using Yoast SEO and they make things SO SO easy. How are you using Buffer right now? I am learning digital marketing right now. so that is very useful to me. I like your answer so much. This is very impressive and attractive answer. itis very important part in digital marketing.